Through signature events and seniors’ educational programming, OSSCO-SOCAO keeps older adults informed on issues of interest. This monthly series of workshops is offered free of charge to adults 55+ on the fourth Tuesday of the month. Learning something new does wonders for self-esteem, improving socialization skills and gives you an opportunity to discover a new talent or interest. Click here for a complete list of event dates and times. Contact the Communications and Programs Specialist at 416-785-8570 ext. 223 or email: programs@ossco.org or visit Event page to register for each workshop. For over 30 years, Ontario Society of Senior Citizens Organizations continues to bring a lifetime of experience to a wide variety of topics. 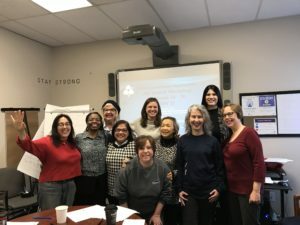 OSSCO presenters and facilitators have a keen understanding of their subject matter and help raise awareness on subjects to enhance quality of life. OSSCO offers a variety of workshops and lectures for your community in multiple locations across Ontario. Some workshops are available in French, Farsi, Mandarin and Russian. For more information on workshops and lectures, please click here. Interested in booking a presentation? Contact OSSCO at 1-800-265-0779 or email info@ossco.org to book an OSSCO presenter for your community.